Rangers coach Graeme Murty has saluted the display served up by Matt Polster in the Gers' 2-0 Reserve League win over rivals Celtic. Two goals from winger Glenn Middleton at Firhill were too much for Celtic to cope with as Rangers took all three points to move up to top of the Reserve League. If Rangers win both their remaining games then, barring a goal difference swing, they will be crowned Reserve League champions. First teamer Middleton was joined in the reserve side by Polster, while Celtic had four first teamers in their ranks. 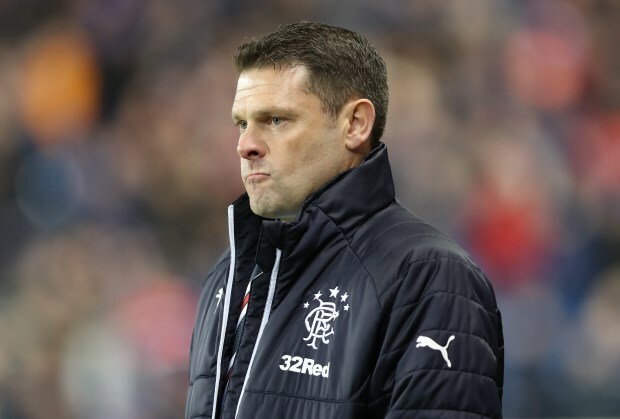 And Murty was delighted with what Polster brought to the side, with the Gers coach feeling the American set a good example for the young players. "I have to make special mention of Matt Polster", Murty said on Rangers TV. "Matt is a first team player coming down. "He really set a good example for the younger players on how to conduct themselves on the pitch", he added. Polster was snapped by by Gers boss Steven Gerrard in the January transfer window, but has yet to make a senior appearance for the side. The 25-year-old will be hoping his display in the reserve game has moved him closer to featuring for the first team before the end of the season.